Active wrist motion enabling passive grip is the key function in high-level tetraplegic patients. It is, however, absent and cannot be restored by traditional tendon transfer in patients have no functioning muscle below the elbow. Drs. 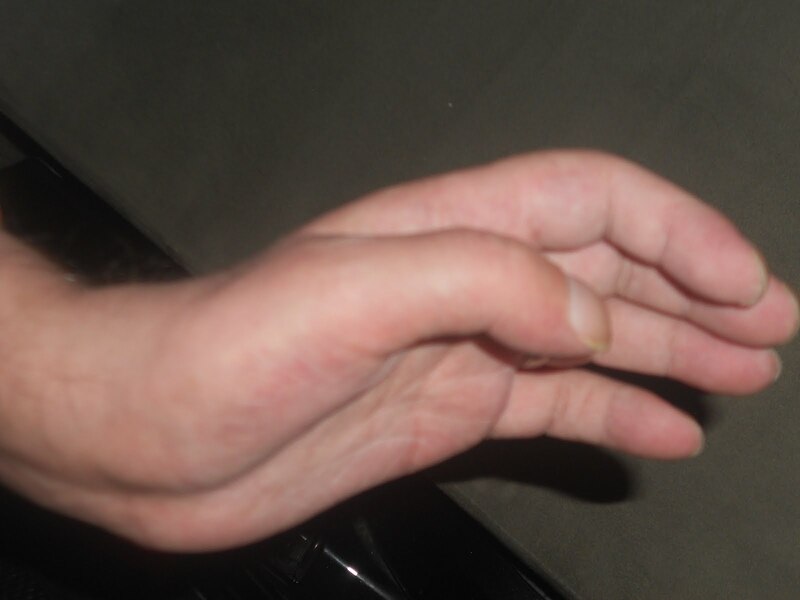 Jan Fridén (Göteborg, Sweden) and Andreas Gohritz (Hannover, Germany) presented recently a 36-year old male patient with high-level tetraplegia due to diving, regained active wrist extension (picture) after transfer of the motor nerve of one of the nerves to an elbow flexor onto the nerve of an wrist extensor. Four months after the operation, the first active extension of the wrist was observed and gradual training and electrical stimulation further improved the power of the wrist extensor. No functional deficit of elbow flexion occurred. This procedure may become a valuable method for patients without transferable muscle regain useful wrist-driven hand function. Reference: Fridén J, Gohritz A. Brachialis-to-Extensor Carpi Radialis Longus Selective Transfer (BEST) to Restore Wrist Extension in High-Level Tetraplegia by Nerve Transfer – Case Report. J Hand Surg (Am), epub ahead of print June 2012.